Traversing the steppes and prairies found in the Argentine regions of Patagonia isn't a job for just any horse. It takes a breed that's both rugged and dependable, one that has spent generations adapting to the challenging terrain and demanding work of the gaucho lifestyle. That's why most of the horses we use on our Argentina horseback riding trips are Argentine Criollos, one of the most sturdy and durable horse breeds. The Criollo is the native horse breed of Argentina, as well as Brazil, Uruguay, and Paraguay. Along with Arabians, Criollos are famed for having the greatest endurance levels of all horses. In fact, The Criollo Breeders Association organizes a yearly, 465-mile endurance race to test the stamina of their Criollos. The horses must complete the race in less than seventy-five hours, all while carrying a minimum of two hundred and fifty pounds and eating only what they find on the trail. In addition to their endurance, Criollos are renowned across the world for their intelligence, fearlessness, and loyalty. Criollos are also known for their resistance to many common diseases, and for their ability to withstand extreme heat and cold. All in all, the Criollo may be the one of the most durable horses in the world. Criollos are descended from a shipment of one hundred pure bred Spaniards that were brought to the Americas in 1535 at the behest of Pedro de Mendoza, the conquistador who founded Buenos Aires. In 1540, around forty-five of the horses were released into the wild when the Spanish were forced to abandon Buenos Aires due to native aggression. When the Spaniards returned just forty years later in 1580, the population of wild horses descended from the animals they had released numbered nearly 12,000. Because they had been released into terrain that was notoriously rough and inhospitable, the horses that the Spanish found populating the area upon their return were noticeably tough and resistant to even the harshest conditions. Both the Spanish and the natives quickly began to capture the horses and use them as pack animals and riding mounts. 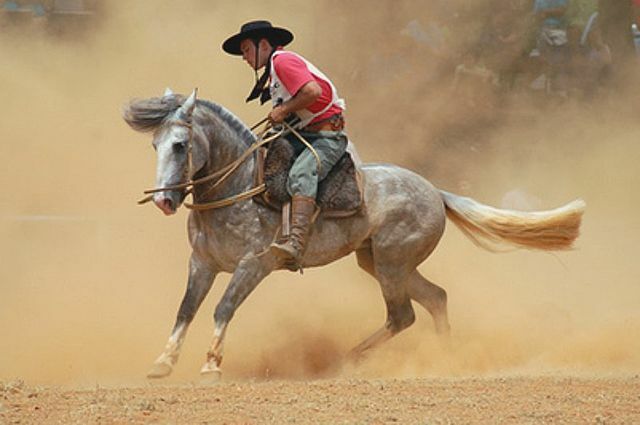 In the centuries that followed, the Criollos' reputation for toughness and endurance spread. 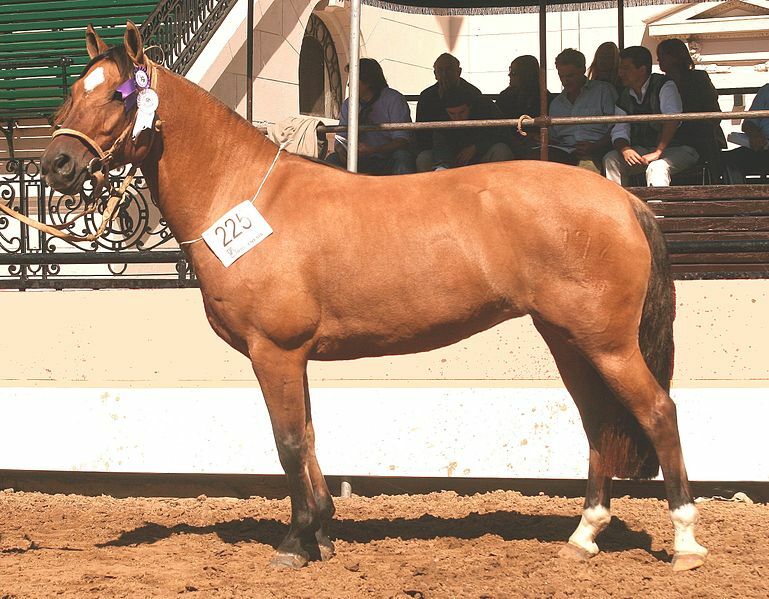 During the 19th century, many of the native Criollos were crossbred with Eurpean stock in order to maximize the strengths of both breeds, but the original Criollo breed was nearly lost in the attempt. Argentine breeders responded by creating a registry for pure Criollos and forming a breeder's association that would oversee the maintaining of the breed. The standards they put in place helped save the Criollos from disappearing, and helped set the standard that ensured the breed would maintain its essential qualities into the modern day. Here at Estancia Ranquilco, the majority of our horses are proud Argentine Criollos. When our guests hit the trail, they know that their mounts are loyal, sturdy, and tough – all essential traits of the Criollo breed. Sign up for one of our multi-day horse pack trips to experience what it's like to ride the mountain-worthy Argentine Criollos!